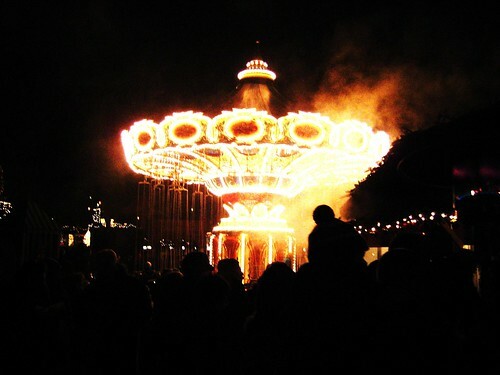 The famous Tivoli Gardens in the centre of Copenhagen plans to be the world's first amusement park to be powered by wind energy. 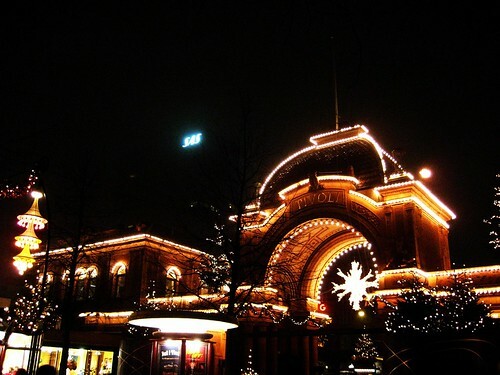 Tivoli Gardens were opened in 1843 and, with the exception of Bakken north of Copenhagen which opened in the late 1500's, it is the oldest amusement park in the world. It inspired Walt Disney to build Disneyland. In collaboration with DONG Energy [Danish Oil & Natural Gas], Tivoli aims to be wind powered by 2010. Next year, in December 2009, the world will descend on Copenhagen for the UN Climate Conference - also called COP 15. It will be time for the countries of the world to sign a new climate agreement to replace the Kyoto Agreement. There is enormous focus on this climate conference. There will be many environmental projects launched between now and then and we're going to cover what we can here on Copenhagenize. Focus on bicycle culture, of course, with a bit of sustainability thrown in. And hopefullly a load of good things involving both bicycles and sustainable projects.